Recently the looming graduation date has been a very constant reminder that I am about to enter the work force. This means that my homeowrk for the last few weeks has been application after application. At first I focused on paid internships for the summer, because most of the entry level positions available in the publishing industry ask for publishing experience. The best way I could solve this problem was to apply for internships. from the paid internships I have progressed to applying for unpaid internships just for the experience. Now I am also looking for entry level jobs listed on the internet. For those interested in publishing jobs and internships I would like to share a rather helpful web site, bookjobs.com. This web site lists both internships and job postings that can be searched by the area that you would like to work in. The only catch with this web site is that the viewer has to be conscious of the possibility that the posting is no longer viable. The way to avoid postings that are inactive is to look for dates. If the title has a date than that’s great. If it does not the viewer needs to look for the date posted and if it is recent than the post is active. Be very wary of the word “Ongoing” in any of the postings. This, most often, means that the post has been filled. Thanks again for listening and I wish all those looking for a job in this economy good luck, including myself. The fact that my time here at Eastern Connecticut State University is coming to an end is both scary and exciting. It is scary because I am now used to and very good at what I do here, so I naturally am scared to leave an environment that I have become so accustomed to. It is exciting because it is a whole new adventure. In order to get into the publishing industry I am faced with multiple challenges. The first is that I will have to go from the suburbia that I have grown up in and find a way to live either in or just outside a big city, I am thinking New York right now. This obstacle is definitely looming in front of me, but it is not the first one that I have to overcome. I have to find an internship and perfect my cover letter writing skills. In order to address this challenge I have started searching internships and will be shortly making an appointment to career services. So while I am slowly but surely tackling my career the best I can I would like to give all those seniors in college out there one piece of advice: JUST BREATHE! Recently I have not been giving this blog its fair amount of attention and I am sorry for that oversight. I have so far spent my summer working at the S&S Worldwide Factory, being laid off from S&S Worldwide Factory, and doing a large amount of nothing. this is about to change because I am all the sudden obsessed with the prospects of my future and the very intimidating class Crash Course in a Novel that I will be starting in the fall and continuing in the spring. This class fulfills my senior seminar requirement and also presents the challenge of having to write an entire novel. So my first goal is to immerse myself within the world of creative writing for the next two months. With no one hiring I will have plenty of time to write poems, short stories, streams of consciousness, and hopefully the beginning of a decent novel. 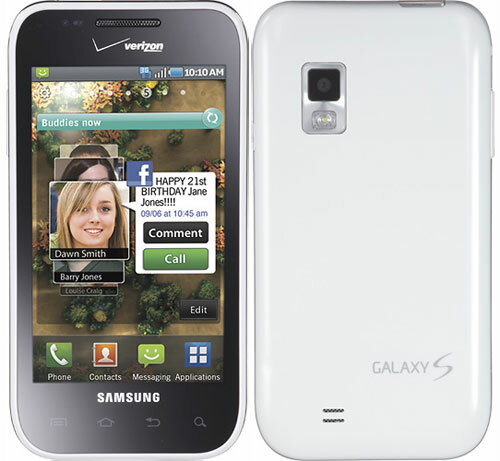 The Samsung Fascinate from Verizon Wireless offers a cornucopia of options for the modern day user of technology. The unlimited data plan that is required with this slice of technological wonder is a mere $35 a month and well worth the price. With daring applications that cover thousands of interest the user will never be bored and never inconvenienced. On Weight watchers? Well there are apps for that which cover your account and even a scanning app to calculate the amount of points a food is. Interested in music? Try the newest Pandora Radio app! With the market place application automatically installed on the device all these things and more are accessible! Yesterday I attended the 11th annual Excellence Expo at Eastern Connecticut State University and participated in the e Portfolio competition. I gave a 15 minute presentation of my word press site and covered most of the areas. In my Academic Portfolio I was able to cover the Digital Photography and therefore I showed my portfolio on that class. I also clicked on my independent study pages to show the judges what I showed at the Research Conference a few weeks ago. I even got some questions and comments on my portfolio. Overall I thought that the presentation went well, and during the awards ceremony for the Excellence Expo I received a prize for best overall e Portfolio! This past Saturday I participated in the School of Arts and Sciences Research Conference by giving an oral presentation on combining my independent study with the WordPress format. They had an excellent keynote speaker and many of the presentations were very interesting. As far as my personal gains I do believe that this conference helped me with my presentation skills and to get the word out about the versatility of WordPress. The only problem I had was with my moderator. I was under the impression that the moderators were supposed to introduce the student presenters. Originally my moderator would have been my Independent Study professor, but she was away at a conference giving a presentation.So my moderator was the mentor of the presenters that followed me and she seemed perfectly happy to just let my time pass. Not only did she not introduce me, but she didnt bother to pull down the projection screen either. I found it rude that I was forced to go up to her to start my presentation and that although she did not introduce me she did introduce her students that were presenting. I suggest that the conference have a meeting with its moderators where they state what the moderators’ responsibilities are, including introductions. A common epidemic on college campuses around this time is “Spring Break Fever”. As all the professors try to cram in last minute papers and tests, the students sit there daydreaming about sunny days on the beaches. This makes for a very disjointed communication between teacher and student. While I will admit to wishing for sunny beaches, I found that my Spring Break Fever came in the form of writers block, which is a very dangerous thing for an English major. It has also come at the most inopportune time, because I am finding it very difficult to get any writing done for my independent study. I must find a way to get the creative juices flowing, and quickly at that! First off I would like to apologize for my lack of posting lately. We are currently in midterm season here on campus and many things seem to be falling by the wayside. Combine this with a job, running a club, and planning out next semester in general and there is a distinctly smaller amount of time for personal use. The main distraction as of late is the planning of my next semester’s classes. there are three classes that I have to take no matter what; Writing for Children and YAs, Literary Publishing, and Crash Course in a Novel. The first two are part of my newly added writing minor. When someone adds a writing minor at Eastern they have to meet with the head of the English department and get a plan approved that includes specific classes. For English majors the writing minor is an additional nine english credits to the 42 that make up the major. The Writing for Children and YAs and Literary Publishing is all I need to complete my writing minor. The third class listed, Crash Course in a Novel, is the senior seminar that I have chosen. The other two options were Wild Wild West and the Rhetoric of Crime. Both of these options are on the analytical side of English instead of the creative side. While I do understand that the seminar I have chosen is one of the hardest available, I am very excited about it. I am also planning to take Professional Presentations to go towards my communication minor. These classes all add up to 12 credits. While I could graduate with 12 credits each of my senior year semesters, I am looking to put an elective into my schedule. I have decided on an art class, Visual Journals and Bookmaking. While I am very excited for all of these classes, I am a little nervous about one being an online course and the rest being 3 hours each. This is intimidating, but it also the thing that allows me to have a four day weekend. Besides the fun of scheduling work has also been keeping me very busy with the midterm portfolios due this week in photography. Also I have been playing catchup with the rest of my classes while trying to keep up to date on things like midterms. I heartily share the sentiment that seems to be going all over campus, I CANNOT WAIT UNTIL SPRING BREAK! In order to gain more experience in public speaking and to further advertise WordPress to the other students of Eastern Connecticut State University I will be entering the Research Conference Exhibition for the School of Arts and Sciences. I will be using WordPress as a tool of my presentation and will presenting my Independent Study. This means that I will be covering researching for psychotic narrators, the format of a young adult novel, and hopefully some of my finished product. I will make use of WordPress by using links to my skydrive to start off with. I am sure I will end up finding another way to use WordPress as a presenting tool. As I have stated before I am taking a full load of classes this semester, including my independent study, but I have just received one more responsibility. I am now the President of eastern’s new club Writing and Illustrating for Children and Young Adults (WICYA). This club has only been officially since the start of Fall 2010 semester, so there is a lot of work to be done. Which makes me insanely thankful to have the support of two others, so far, on eboard. The responsibility I would like to address here is the job of taking over WICYA’s blog on WordPress. When I received the url, username, and password I found a blog that was very poorly organized and constructed. So my first initiative for this blog is come up with a system of pages that are more logical and organized. The content will have to come later. Along with the blog I have inherited many other jobs, including getting more members. While all of us on eboard is trying very hard to do this, it seems that there is not as much interest as we originally thought. So if any Eastern Connecticut State University students find this I hope they will think about joining. encourage and practice cooperation between writer and illustrator. work shopping AT LEAST once a month using peer reviewing skills. bringing authors and illustrators on campus to add to our contacts and impart their wisdom. To find and enter writing/illustrating competitions. If you are interested in learning more email me at wicya@my.easternct.edu or look at the blog by clicking here. How do Psychology majors do it? Recently I have started my researching portion of my independent study. For this Independent Study I will be working on writing the beginning of a Young Adult novel that centers around an unreliable narrator with Multiple Personality Disorder. This means that I must first research the condition and how it is treated, which requires that I look at Psychology articles as well as personal accounts and fictionalized versions. Through this experience of reading psychology articles and characters that have the perspective of trained therapists, I have cultivated a new respect for Psychology majors who have to learn the language and terminology that I am struggling to have a little understanding of. So to all those Psychology majors out there, good luck! I normally Wouldn’t Post this….. I normally would n’t post this, because it does not pertain to school, but I still feel I need to write it somewhere. Coal, one of my cats, is currently in the emergency vets with a high fever and was unresponsive the entire morning. I feel that this post is necessary, because people don’t put enough credit to behavior change. I hear people say all the time that if the animal is eating, drinking, and going to the bathroom; then nothing is wrong. For some reason many non pet owners don’t understand that behavior is usually the real indicator of how an animal is feeling. Coal is normally an EXTREMELY lovable cat. He is always finding his way on your lap, follows us around the house, teaches my younger cat Mitts, and greets us when we come home. In the past week he has stopped wanting to be touched, lost almost all his energy, become almost aggressive to Mitts, and disappeared for hours. Those extreme behavior changes are serious. So I guess what I am hoping by posting this is that someone out there gets the message that behavior changes are just as, and sometimes more, important than physical function changes in animals. Hopefully Coal is fine, because right now they are saying it is some kind of infection and are keeping him for a couple days so they can do tests. I love both of my cats dearly and pray for them. If you ask any of my friends about my schedule for classes they will surely tell you one fact that is absolutely true about me; When I am making my schedule it changes weekly until I buy my books. This semester I have gone above and beyond that, because I have just added another class to my schedule, and I ordered my books and got them about a week ago. As far as schedules for college go I do recommend that a plan is made a week or two before registration with plenty of back up classes. I also support flexibility with making a schedule. This allows you to tweak all the small things to eventually come up with your perfect schedule. Books are another matter. I do strongly recommend that the buyer orders there books as soon as possible. I also advise that they shop around. The last few years I have bought from the bookstore on campus, refusing to give up the accessibility and flexibility that the bookstore offers. If a student does drop a class or add a class, the bookstore will gladly take back the dropped class’ books and add the new class’ books to your order. Plus there was the fact that I could pick them up at the bookstore after I moved back in, which meant less to pack. This year I took the time to compare prices between Amazon and the bookstore. This resulted in two rental books being bought at the bookstore and the rest at Amazon. Overall I was very pleased with Amazon’s service. especially their turnaround rate. They sent me one book that had brown residue on the top that prevented me from accessing some pages. Within days I received a brand new one and Amazon covered my shipping and handling for sending the other one back. As far as the class I just added, I am stuck between Amazon and the bookstore. Amazon offers me all new books for about the same price of all used at the bookstore. I am currently price checking the difference if I bought used from Amazon. The downside of used from Amazon is that every book has an additional 3.99 shipping and handling as a minimum. To view my schedule for this semester click here. 1. Use every available pocket! 2. Suitcases with wheels are a must. 3. Roll your clothes instead of folding them. 4. Pack up everything except a few outfits about 3 days prior. 5. DO AT LEAST THREE SWEEPS OF YOUR ROOM BEFORE LEAVING! I hope that these tips help someone out there. As the clock struck midnight on January 1st 2011 millions and millions of people made resolutions to get fit, eat better, update their blogs, read more, or anything els they wish. To all those that did this, I wish them luck in their endeavors and hope that it doesn’t fizzle out within the next few weeks if it hasn’t already. As far as my resolution goes, I have resolved to work on being happier. This includes a wide range of things, but I have set it up to focus on the progression, not the ending goal. This way I can look back and say that I genially tried and succeeded by just trying. So far I have done a good job. I am watching what I eat more, I gave up my addiction to soda, I have read more, and I have come back to the wonderful site of WordPress. I have already added the backbone of the coming semester, and updated my grades. I have also made my first entry into the young adult section of “Book Reviews by Moi”. There will be more entries to come, not only in that section, but in this blog as a whole. I’ve decided that I want to blog more. Rather than just thinking about doing it, I’m starting right now. I will be posting on this blog once a week for all of 2011. I know it won’t be easy, but it might be fun, inspiring, awesome and wonderful. Therefore I’m promising to make use of The DailyPost, and the community of other bloggers with similiar goals, to help me along the way. Including asking for help when I need it and encouraging others when I can. Finals week is at a close for me and I find myself chasing after a lot of loose ends. Even though I have turned in my last paper and finished my last test for the semester, Fall 2010 isn’t quite over yet. I am finishing up at work for the semester, meeting with professor, and most importantly; I am waiting with great anticipation for my final grades. As the anticipation grows I am also being bombarded with questions for next semester. There is paper work to be filled out and books to buy, but until the grades come in I am having trouble thinking of anything else. A very common thing in writing is to give characters a tragedy in their life to drive them through the world that the author has created. This transcends into real life, because, as much as writers don’t want this to be known, writers yearn for tragedy within their own life. It is their belief that tragedy in life fueled the creative juices and made for amazing stories. An example of this is Jack Gantos. Gantos had the dream of being a writer for most of his early life, but it wasn’t until he was facing the tragic realities of prison life that his writing really took off. He developed his memoir in a young adult form in prison and published many successful children’s book after he left prison. If writers are looking for tragedy they should look no further than their own childhood. Throughout childhood a person is faced with letdowns and small events that seem like the biggest tragedy ever. This drama that is interlaced with childhood creates enough emotion to write hundreds of pages, and it is for this reason that I believe that children and young adult are just, if not more, poignant than the grand and almost impossible stories of adulthood. We are now approaching the last few weeks of the semester of Fall 2010. This is the real crunch time for an English major. These weeks are all about rough drafts and revisions of multiple papers at once. I am lucky enough to also have the added bonus of a non English class in Digital Photography. This means that when word start swimming in front of my eyes and I start to write about the native author Sherman Alexie in my Shakespeare paper I can take a breath and move to the web designing and photos of Digital Photography. Along with these papers, this is also the time that I start to look back on the semester and reflect about the classes, people I have met, and the changes in my life. I also am confronted with the sadness of saying goodbye to people who will be graduating. Amidst the reflections there is the anticipation for a break from the rigorous demands of professors and a new semester with new possibilities. As I am finishing up my Reflection/Assessments in the Academic Portfolio I find that I must move on to something new. I still have a few more pages that I have to finish, including the About, Campus Activities, and Community Activities. I am also hoping to have all that done so i can add a few fun pages, like a library page where I can write reviews books that I love and books that I hate. I also have to look at finding some examples of work for the classes I have listed. For my Digital Photography class we are currently working on building another web site to showcase the class. So for the next few days I will be working on connecting this ePortfolio to the new website. Most of the links will be on the Digital photography page, and I will be using the space on here to write my reflection/assessments for each assignment. Our most recent project in digital photography is to set up our web page on the space that the school offers us. At first I was apprehensive of using dream weaver for the first time, but soon found the program actually fun. I like the fact that you can choose exactly where you want to put things on the page and format everything the way you want to. I found that Dream Weaver offers a freedom that Word Press cannot quite match. I also like the way you can use one page layout to create the other pages that are required. Now we are at the point in the semester where I can really start concentrating on this ePortfolio. We have finished our midterm portfolios and exams in all my classes. This means that I have more time to devote to this ePortfolio. My next task on my list is to finish up the reflection/assessments for the academic portfolio. I have about twenty five or more classes listed that need reflection assessments. After this is done I have to hunt down my old assignments and move to creating more links to said assignments. The experience of creating this ePortfolio has been a roller coaster like ride. First we learned the “spaces” feature on windows live, only to be told we had to switch to wordpress.com. This news came as a shock and was aggravating at first , because we had to learn a new system in little time before the midterm was due. Now that we are only days away from the midterm, it is complete madness. I have learned the ins and outs of wordpress, but I feel there is so much more to learn and more that I can do. I find the number of pages staggering, but after watching it grow a part of me is excited to see the finished product. Its amazing that a person can turn something that is supposed to be a blog, a place where you simply post things about the world or yourself, into such an useful tool for the business world.